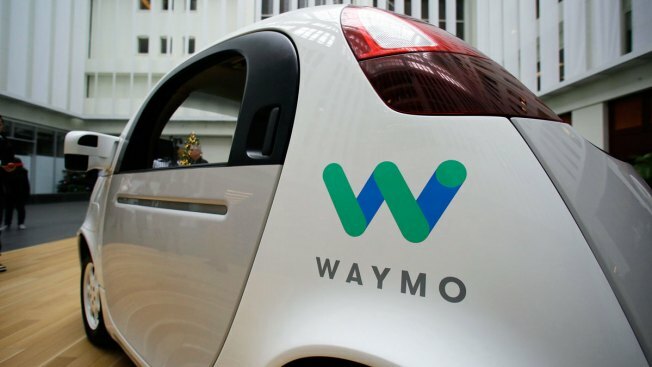 The commitment, announced Tuesday during a New York event that was also webcast, marks another step in Waymo's evolution from a secret project started in Google nine years ago to a spin-off that's gearing up for an audacious attempt to reshape the transportation business. The Jaguar deal will expand upon a fleet of self-driving cars that Mountain View-based Waymo has been gradually building in partnership with Fiat Chrysler since 2015. Waymo initially equipped about 600 Pacifica minivans with its self-driving technology before negotiating to buy "thousands" more of the vehicles. The minivans will be part of a ride-hailing service that Waymo plans to launch in Phoenix later this year. If all goes well, Waymo expects to expand the service to other states. Jaguar will deliver its vehicles for Waymo's ride-hailing from 2020 to 2022. The 20,000 I-Pace models will provide up to 1 million rides per day, according to Waymo. Financial terms of Jaguar's deal with Waymo weren't disclosed. Jaguar lists the starting price for its I-Pace model at about $70,000, a figure that translates into $1.4 billion for 20,000 vehicles. "We want to build a diversity of vehicle forms and vehicle types with the goal of providing just the right car for every trip, for every person, for every need," Waymo CEO John Krafcik said in an interview with The Associated Press. He said Waymo is currently negotiating with Honda and other vehicle makers to forge other potential partnerships. Waymo's planned ride-hailing service poses a potential threat to Uber and Lyft, the early leaders in that still-developing field. Both Uber and Lyft are trying to ward off Waymo by developing their own self-driving cars, even though they got a late start in autonomous technology. Uber's efforts suffered a major setback when one of its autonomous cars struck and killed a pedestrian in Tempe, Arizona last week. On Monday, Arizona Gov. Doug Ducey suspended Uber's self-driving vehicle testing privileges, stating in a letter to CEO Dara Khosrowshahi that video footage of the crash raised concerns about the San Francisco-based company's ability to safely test its technology in Arizona. Krafcik declined to comment on Uber's accident, but emphasized that Waymo still believes its technology will prove to be more reliable than human drivers who have shown an inclination to be distracted or intoxicated while behind the wheel. "We are confident in our technology, and that confidence is based on nine and half years of hard work, sweat and toil," Krafcik told the AP. "Safety is at the foundation of everything we do."